Explanation: Who guards the north? 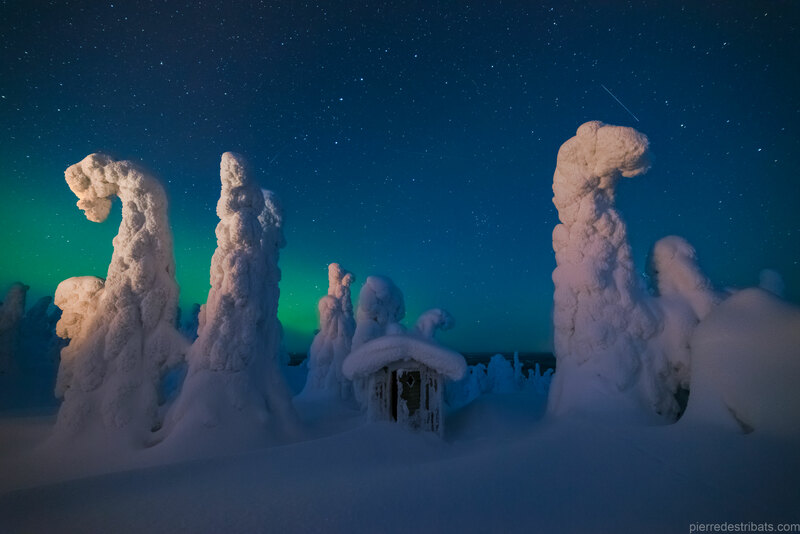 The featured picture was taken last March in Finnish Lapland where weather can include sub-freezing temperatures and driving snow. Surreal landscapes sometimes result, where white alien-looking sentinels seem to patrol the landscape. In actuality though, the aliens are snow-covered trees, and the red hut they seem to be guarding is an outhouse. Far in the distance, behind this uncommon Earthly vista, is a beautiful night sky which includes a green aurora, bright stars, and streaks of orbiting satellites. Of course, in the spring, the trees thaw and Lapland looks much different.